Di Felice gives a result of +13-9=2 for Neumann. 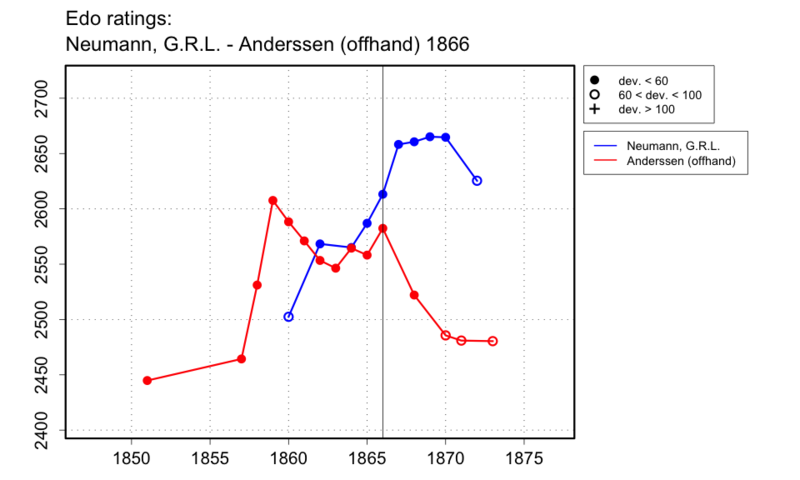 Renette and Zavatarelli, quoting the Schachzeitung, say 'Neumann stood completely equal with Prof. Anderssen after a large number of games. It seems likely that Di Felice is only reporting results of published games, which are not necessarily representative. I give a soft result of 25/50 to represent equality after 'a large number' of games.